The Montcalm Marble Arch near Hyde Park has almost everything you’d need for a comfy and affordable hotel stay. With great dining, gym facilities and complimentary entertainment and dining, there’s always something to keep you busy in the hotel. We all know what kids are like though; with so much energy and curiosity, it’d be unfair to keep them cooped up in the hotel during an exciting trip to London. If you’re feeling anxious about lengthy travel on the tube or bus with young children, then there’s plenty in the Marble Arch area for you to enjoy with children. With a range of events, both entertaining and educational, there’s a lot for you to enjoy as a family. Based in Kensington, the Design Museum is an exhibition space and museum which explores product, industrial, graphic, fashion and architectural design, giving you and your kids a bitesize introduction into the world of design. Having won the European Museum of the Year Award, the Design Museum also has spaces dedicated to teaching and education. With the permanent exhibition located on the top floor and the bottom floor dedicated to temporary exhibitions, you can find a variety of exhibitions across what is itself an impressively designed building. The Montcalm London Marble Arch is a hotel which is located right next to Hyde Park. 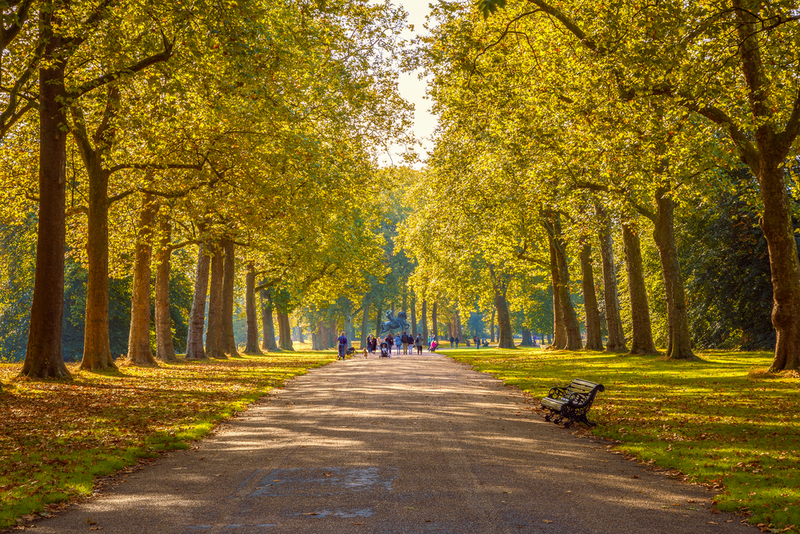 If you’re looking for a good way to kill an hour or two without straying too far from your hotel, then take a wander through the park from the North East corner. Here you can find the famous Speakers Corner, where many famous orators and debaters have cut their teeth on subjects ranging through politics and philosophy. Other sites to explore in the North East corner of Hyde Park are the beautiful war memorial to animals in wartime and the Danse Gwenedour Sculpture which twirls and curls into the sky. Take a trip deeper into the park and you’ll find the famous Serpentine Gallery. Made of two different spaces, the Serpentine and the sackler Gallery, the spaces are dedicated to showcasing the best international contemporary artists out there. In the past the gallery has seen the likes of Grayson Perry, Damien Hirst, Man Ray and Marina Abramovic exhibit work there. Set in the quaint area of Fulham Road, the pottery cafe is a great place to sit back and relax with a cuppa whilst the kids get creative. Being given creative control over their clay creations, kids and adults alike will have a ball at this quirky Fulham cafe. Due to a 19th century law requiring the Royal Mail National postal service to archive all of their records, the organisation has been keeping annual records and reports since 1896. With such an extensive back catalogue, it seemed natural that the long spanning history was displayed in exhibit format. The setting ended up being Clerkenwell in central London, where you can find displays showing the history and development of the Royal Mail, giving adults and children alike a deep insight into one of the UK’s most organised and iconic organisations.